We are an Independent Insurance Agency, which means we have made available some of our best companies for your insurance needs. 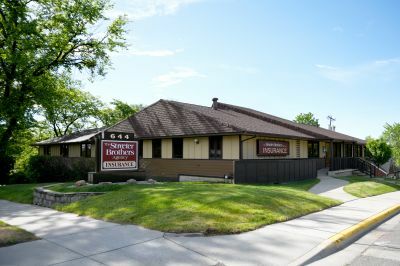 ISU Streeter Brothers Companies was founded in 1922 and has been serving our community ever since. With over 95 years of promises kept, we invite you to experience the trust, expertise, and quality customer service our customers have been receiving with the utmost passion. We service clients in the Billings Montana areas. At ISU Insurance Services The Streeter Brothers Agency, each one of our clients is given a dedicated team of experts that work together to proficiently address all your concerns. We offer all types of Personal Insurance coverages to our clients in Montana including Auto Insurance, Homeowners Insurance, Individual Life Insurance, Recreational Vehicle, and Personal Umbrella. Give one of our agents a call on your Business Insurance. Some of our Commercial insurance coverages include Business Owners Policy (BOP), Commercial Auto, Commercial Property, General Liability, and Workers Compensation. Let us help you look for the best insurance option that fit your needs. Just give us a quick call today at 406-252-0551 - with the help of our dedicated business partners; we conveniently offer an entire solution for all your insurance and business needs.